Comforts and supports hammer toes with gel. 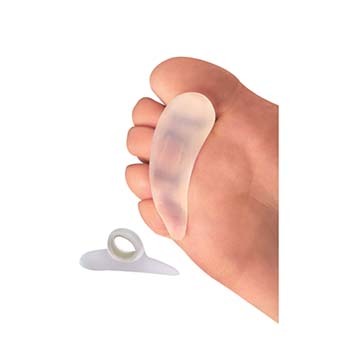 Soft silicone gel cradles bent-under toes and relieves pressure on toe tips. A reinforced toe ring slips over the 2nd, 3rd or 4th toes for secure positioning.